Mommy of 4 loving her farm life…come along for the ride! Yesterday was a day to mark down on our calendars – literally. 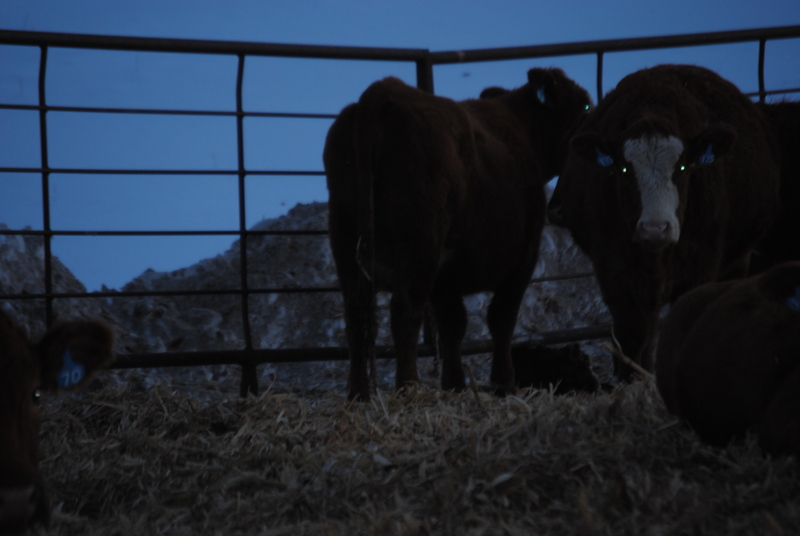 We had two heifers calve, which means that calving season has officially begun. 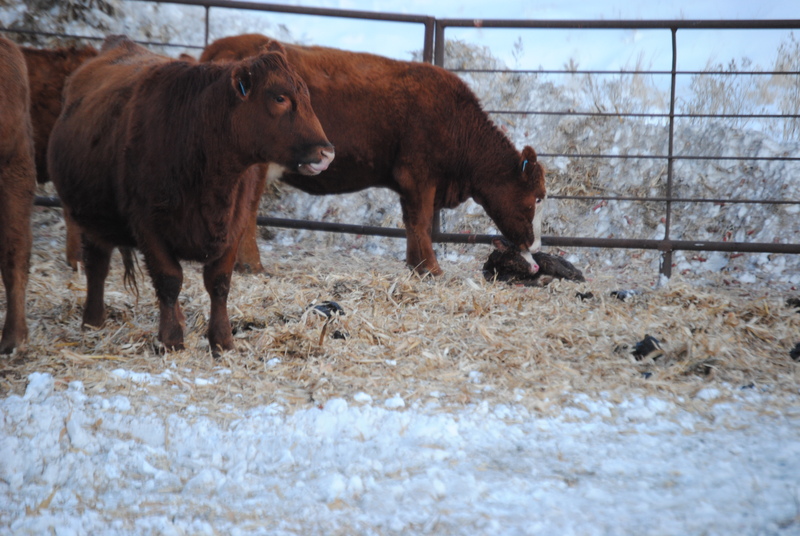 Unfortunately, one calf was born dead, which is always a hard situation to take. And Boss Man did what he could to bring the foot forward, so the calf could be born safely, but sometimes it doesn’t work out…and this was one of those cases. We do our best not to intervene unless we have to, but you never know what Mother Nature has in store for you. At first light, I noticed something on the straw. The sun was just kissing the sky as I went out. This heifer is a good mama. Boss Man uses the calf sled to bring the calf to the barn. Mama is close behind, making sure her calf is safe and doesn’t get too far from her! The last 12 hours have had its highs and lows, but I know that we are where we’re supposed to be…and days like today make it all worthwhile. No man needs sympathy because he has to work . . . Far and away the best prize that life offers is the chance to work hard at work worth doing. 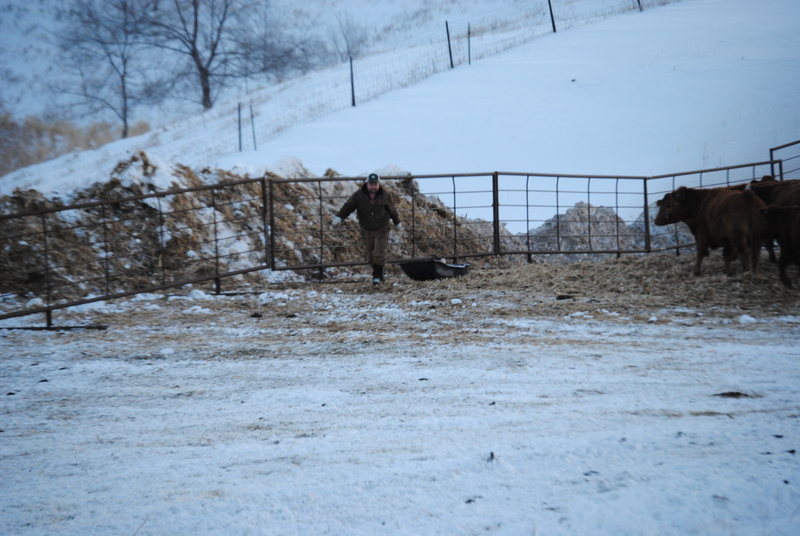 This entry was posted in Agvocacy, beef, Calving, Cows, Farm life and tagged agriculture, agvocacy, calving, cow facts, cows, farm life, farm questions, life on the farm by wagfarms. Bookmark the permalink. I love your outlook on the less positive aspect of things. And, I appreciate your love for farming and your family, and your willingness to work hard to achieve your goals! Some days it’s a struggle to find the positive, but I found that it’s always there if you look are enough! And thank you for the kind words…our hard work is paying off! 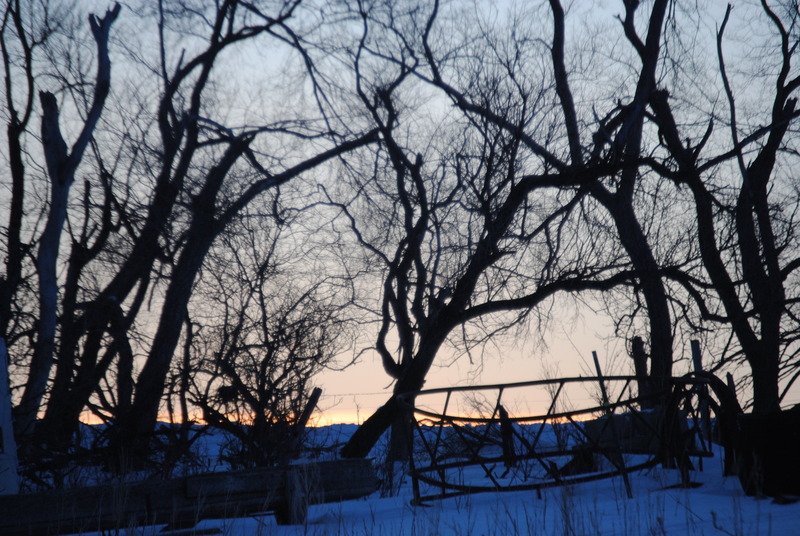 We are starting to lamb here in SW Wisconsin~more freezing rain/wind than snow. Hope the weather straightens out for you! My husband will be heading to SW Wisconsin at the end of the week for his uncle’s funeral. Beautiful country down there!